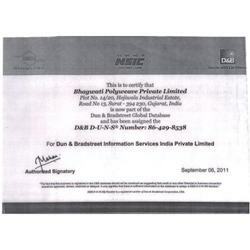 Established in the year 2005, a young and dynamic company engaged in manufacturing, supplying and exporting of an assortment of Polypropylene based products across the country. 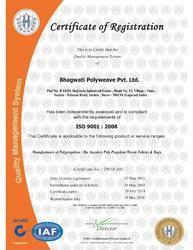 Over the time, we have consistently nurtured industry expertise delivering premium quality products such as PP Woven Bags, BOPP Bags, Food Packing Bags, BOPP Wall Putty Bags, Laminated Sheet, BOPP Rice Bags, Vegetable Leno Bags, Jumbo Bags, Clear Woven Sheet & Bags, Perforated Bags, PP Anti Slip Bags, Courier Bags, Polypropylene Fabric, BOPP Pesticides Bags, Laminated Bags & Laminated Sacks. Constantly keeping ourselves abreast with the latest market trends and requirements has enables us to incorporate new ideas. We leverage on our expertise to offer products of varying complexities and cater to the packaging requirements of diverse industries such as sugar, cement, fertilizer and others. As our main concern has always been to make conscious initiatives towards satisfying our clients, we have directed all our endeavours in providing superior, durable and reliable and cost effective plastic packaging material. In order to enhance our competitive advantages and match the expectations of our clients, our quality assistant team regularly monitors the range at every stage of production ensuring flawless quality of our assortment. We have an up-to-date infrastructure with well-equipped machinery and team of experts who enables us to manufacture quality product for our valued clients and it is due to this reason we have been growing as a leading company since it has been incepted. Backed with large distribution network and remarkable quality of our range, we have been able to gratify our clients across the globe. We offer to our clients a wide variety of Polypropylene made products that are available in various size, shape, design and colors at competent rates. 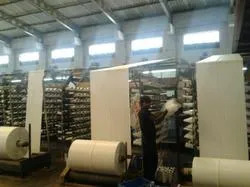 Our experts are engaged in fabricating a wide range of PP Woven Bags, BOPP Bags, Food Packing Bags, BOPP Wall Putty Bags, Laminated Sheet, BOPP Rice Bags, Vegetable Leno Bags, Jumbo Bags, Clear Woven Sheet & Bags, Perforated Bags, PP Anti Slip Bags, Courier Bags, Polypropylene Fabric, BOPP Pesticides Bags, Laminated Bags & Laminated Sacks. Our range is long-lasting as they are manufactured from premium quality raw material. Our team consists of experienced and knowledgeable industry professionals. We have a team of skilled personals for each operation carried out at our manufacturing unit. Complementing each other in the work environment, our team’s combined efforts have helped us to deliver quality products within the stipulated time frame. This results into developing sharp aptitude and enhances the effectiveness. 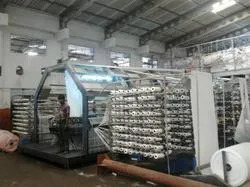 Our premium quality BOPP Printed Woven Bag & PP woven fabrics, sacks and bags are extensively used in varied industries for packaging and storage purposes.